The right toothbrush is going to make all the difference when it comes to comfortably brushing your teeth. You have to smile wide, but also know that the teeth in your mouth are completely clean. When you need to brush, make sure to consider all of the available toothbrush options out there and which one you should be using. The best dentist in Charlotte, NC understands that the right toothbrush is going to make a big impact on your smile. There are some quick steps to take to make sure you’re choosing the right toothbrush. Your mouth, teeth and gums are going to thank you when you do make the best decision. Make sure that the bristles are not hard and that they’re softer. The hard ones can cause scrapes and other problems on the outside of the teeth. The head of the toothbrush has to be able to fit comfortably inside the mouth. Make sure to not go with something that is too large, skinny or wide. 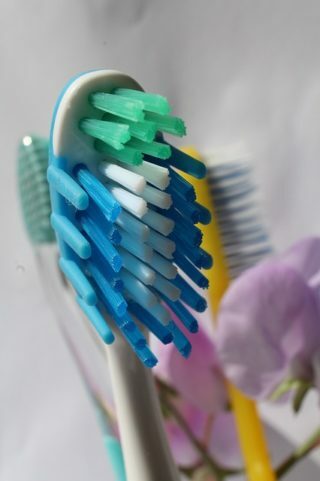 If you’re in doubt about which toothbrush is best for you, speak with your dentist regarding which one you should use. They can recommend the best one to go with. Electric toothbrushes are always a great way to go when you’d like a deep, all over clean without having to worry about your manual brush not providing it. Choosing the right toothbrush makes a difference. You want to speak with the professional dentists in Charlotte, NC in Belvedere Family Dentistry. They can provide the necessary information regarding the toothbrushes that are going to provide you with a whiter, brighter smile. This is a great time to learn more about the toothbrushes out there for your mouth.